General Motors revealed a two-door Cadillac version of its Chevrolet Volt plug-in car at the Detroit Auto Show Tuesday. The new car, which will go on sale in early 2014, will have a few features the Volt doesn't. Besides having a different body, the ELR will have big 20-inch wheels. GM (GM) promises, an "engaging driving experience" to go along with the new look. The chassis and front suspension have both been altered from the Volt's to provide a more responsive feel, said Caldwell. The Cadillac ELR relies on the same propulsion system as the Volt but, in the Cadillac, it has been reprogrammed to provide more performance at a slight cost in efficiency. The Volt relies on a gasoline engine to provide additional energy after about 35 miles. Using a feature that's only recently been added to the Volt, the ELR will allow the driver to run the gasoline engine before it's really needed, saving more of the battery's charge for later. That way, GM suggests, a driver could elect save some electric charge for city driving, where a battery driven car is most efficient. The car will also have Cadillac's "safety alert seat" which vibrates to warn a driver of hazards such as a car in a blind spot. This feature is already found on the Cadillac XTS and ATS sedans. Pricing for the Cadillac ELR will be announced closer to its planned production date, but GM doesn't plan to sell a lot of them. "An additional aspect of ELR's appeal to will be exclusivity," said Bob Ferguson, Cadillac global vice president, said in a statement. "It will be a specialized offering produced in limited numbers." Only about 10,000 of the cars will be produced each for year for sale in the U.S. and, later on, in Europe and China, Cadillac spokesman David Caldwell said. The Chevrolet Volt is now the top-selling plug-in car in America with its sales having tripled to 23,461 in 2012. 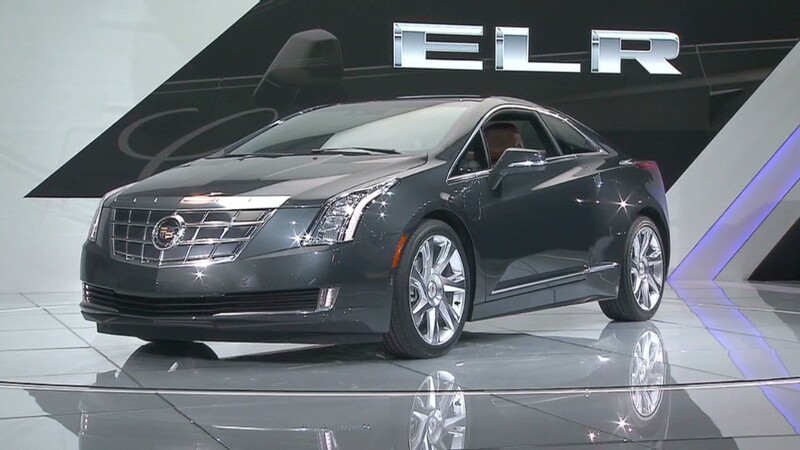 The ELR will be the third car to use the Volt's plug-in technology. It's also found in the Opel Ampera, which is produced alongside the Volt in GM's Detroit -Hamtramck factory but sold in Europe. The ELR will also be produced in that factory.